After shocking everyone with his sudden announcement of his wedding tomorrow, I bet a lot of people pressured him to show the public the face of the woman that stole his heart. O.C Ukeje has finally revealed his fiancée and I want you to tell me what you think of her looks. The Nigerian actor who weds on November 8, 2014 in Lagos, took to his Instagram page to share the photo of himself and wife-to-be Ibukun Togonu Bickerseth with his many fans. ‘Finally… The Ibukun Togonu Bickerseth aka Mrs Ukeje‘, he captioned the photo. 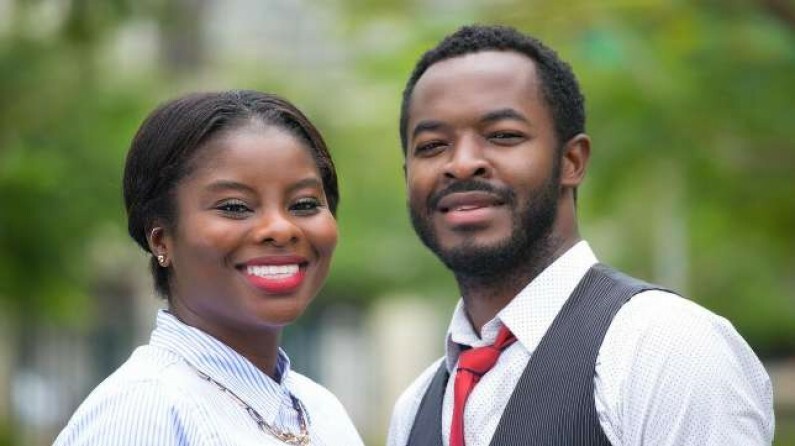 Ukeje got engaged back in August 2014. The talented actor’s revelation this week follows some misinformation about the identity of his fiancée; a wrong photo had circulated the Internet, leaving many to be confused about Ibukun’s true identity.